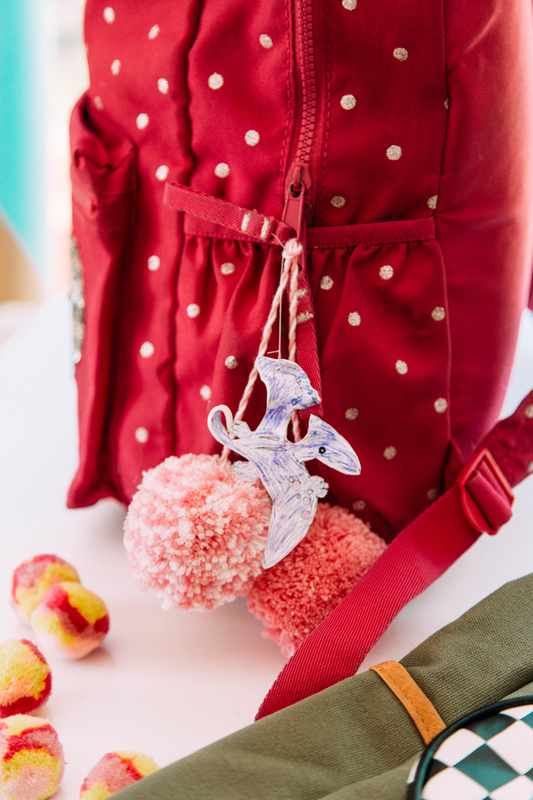 This DIY backpack charms post is sponsored by Disney Book Group. 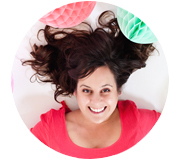 We are knocking both of these out of the park by recommending a fun new book for the 3-5 age crowd and showing a DIY for easy to make backpack charms that kids of any age will adore. 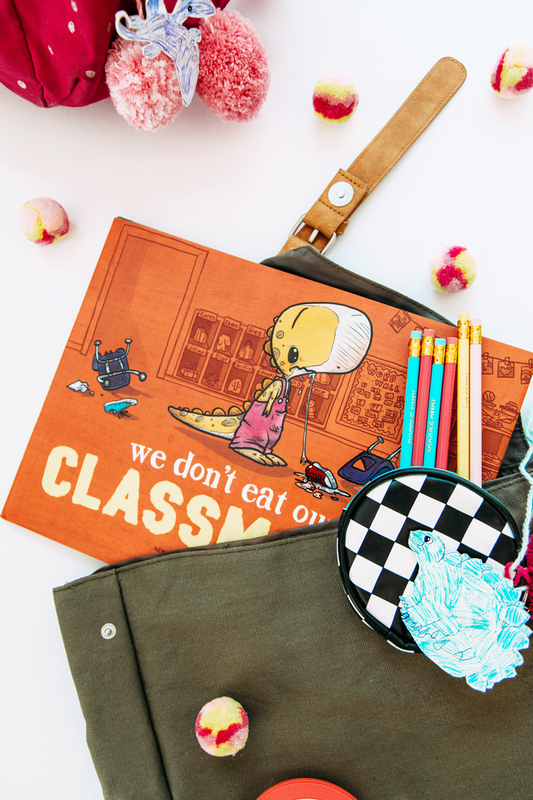 The charms are inspired by the new book, We Don’t Eat Our Classmates by Ryan T. Higgins, which is an adorable tale of a dinosaur learning how not to enjoy her human classmates for lunch. 1. Start by creating your Shrinky Dinks. 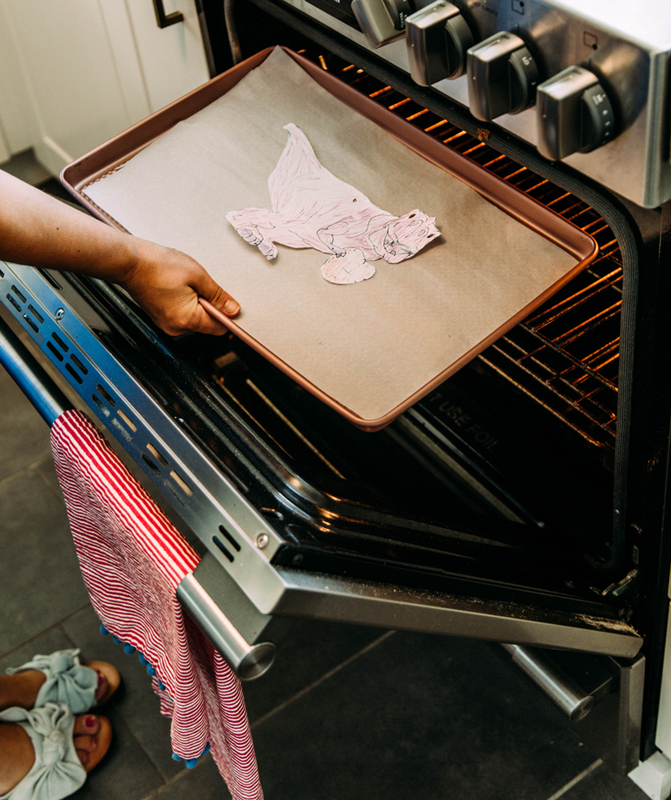 Trace the dinosaur template onto the Shrinky Dinks paper – older kids can do this themselves. Then have the kids color in the picture with markers. 2. Be sure to follow the instructions to use a hole punch to make a hole in each Shrinky Dinks before baking. This will allow you to string them on as a charm. 3. Cut out the template and bake per your paper’s directions. Ours were done in just under 1 minute. Lay flat and allow to cool completely. 4. 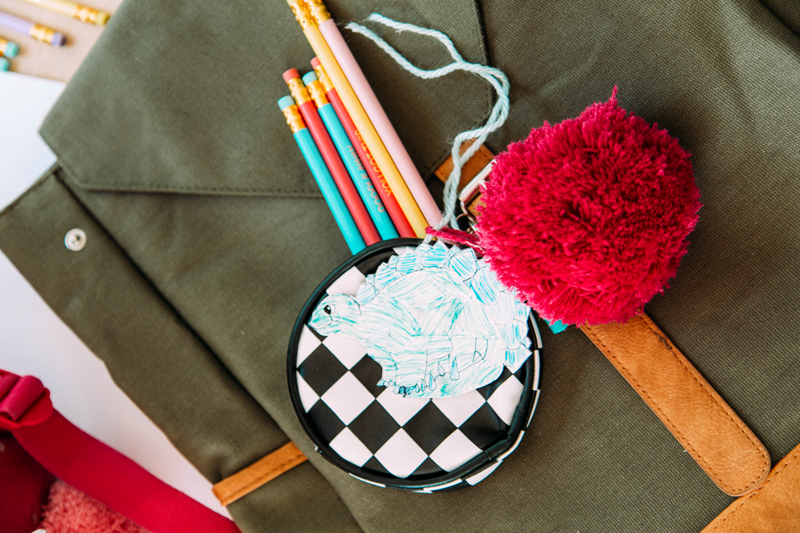 Once the Shrinky Dinks are cooled, string them along with yarn balls for backpack charms the kids will adore. Loop around the zipper part of a backpack for a new school year kicked off in style. For new readers, fill their backpacks with fun books you know they will love like this new favorite. 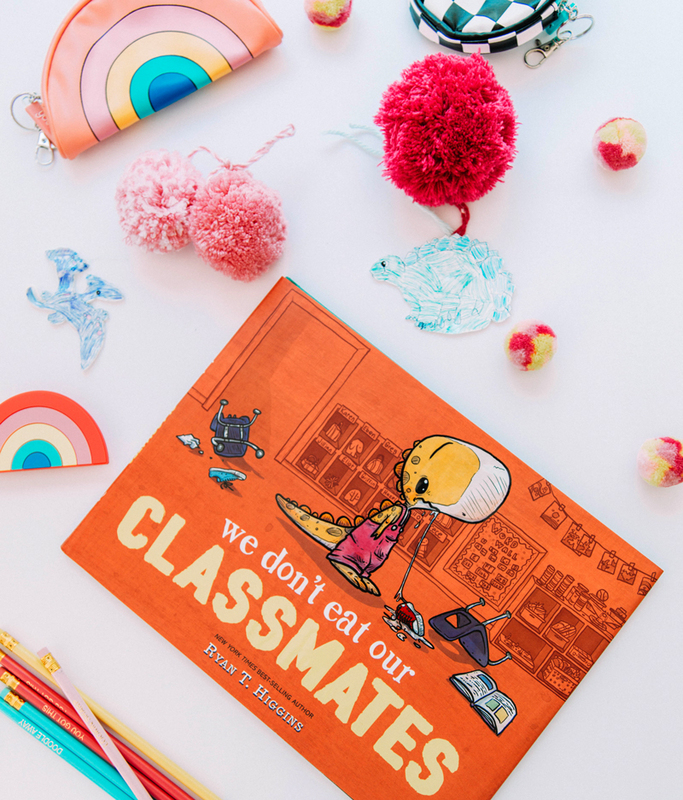 We Don’t Eat Our Classmates by Ryan T. Higgins is in stores now! This DIY backpack is very nice and simple.